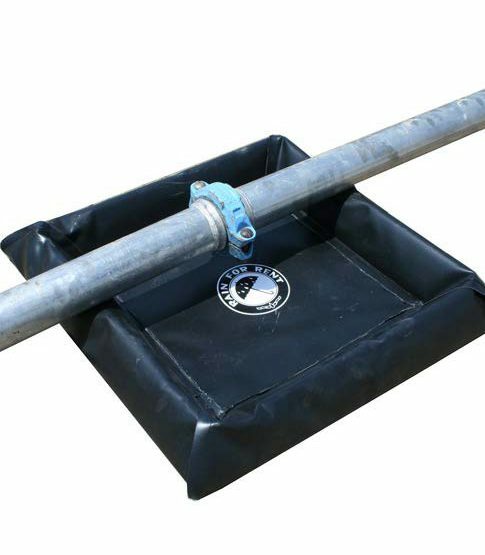 Compact Spillguard containment berm for use under pipe couplings when pumping fluids. Unique design with collapsable walls and compact size. Easy Storage, easy assembly, protects ground beneath coupled pipes from drips and spills.